Rossitta wood Castle is the centuries old mansion of an European family now open to tourists . 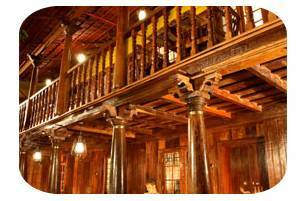 Situated on the Rose Street between Vasco-Da-Gama church and the beach of Fort Cochin, A warm little inn, where you relax and the stonewalls start narrating stories-tales from the pages of history. Teakwood flooring, high wooden ceiling, tiled roofing and huge European windows always conserving a fresh and cool ambience at her interiors. 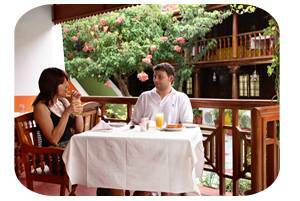 The sea food served is prepared from the fresh produce available around Cochin. The restaurant is set in the open courtyard, the walls over three centuries old. The ambience, homely and cosy. With an enticing menu comprising delightfully traditional dishes, exotic Italian pastas, and choicest desserts. Come enjoy. Tan your skin in the blissful sunshine and enjoy the blue waves of the Arabian sea… the huge cantilever arms of the Chinese Fishing nets streets thick with the aroma of spices. Winding lanes dotted by old colonial mansions on both sides… all this is just around the walls of Rossitta wood Castle. You will cherish the impeccable hospitality and personalised attention offered to you by the well trained and ever friendly Rossitta crew because our guests don’t actually leave, they keep coming back. Semi Deluxe : Comparatively a small room in the Courtyard with attached bath room, A/C & Hot Water. 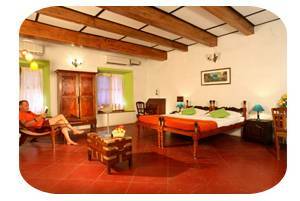 Double Deluxe : A Spacious room with Wooden Flooring attached bath room, A/C, TV, Hot Water. 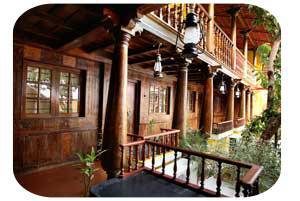 Wood Mansion : A spacious room with a seperate sitting area , balcony, refrigerator, TV, A/C, attached bath room & hot water. 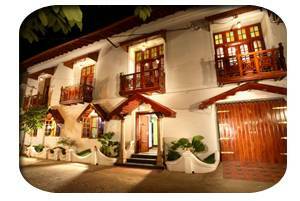 Rose Street, Heritage Zone, Fort Cochin. The balance payment to be paid at the time of check in. Cancellation of booking between 15 days to 4 days of arrival date, 25% of the amount will be charged as retention. Cancellation of bookings less than 4 days before check in will be non refundable. 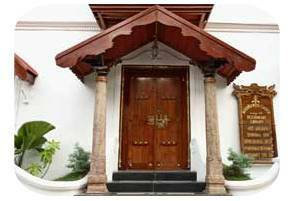 Our Hotel is located in between Vasco Da Gama Church and Chinese Fishing Net area.